Israel finds cure for paralyzed legs. At least 60 Hamas supporters were reportedly killed when they tried to storm the border with Israel. The US blamed Hamas for the deaths. But there was one miracle on Embassy day. A crippled Palestinian learned to walk and run on Monday. The entire scene was captured on video. 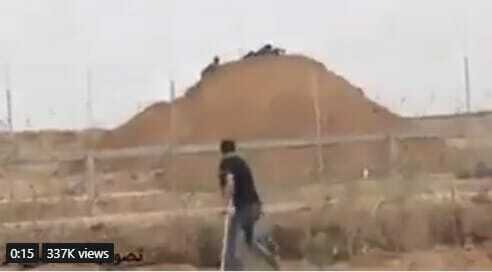 More… Hamas uses children as human shields as they storm the Israeli border. Praise Allah! It's a miracle! The moment there was enough footage to sell to Reuters and AFP, the miracle healing began!